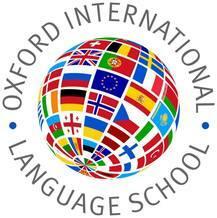 Oxford ILS is a friendly English language school that offers full-time and part-time courses in General English, Business English as well as Exam Preparation courses - FCE, CAE, CPE, and IELTS. We welcome people from all backgrounds and nationalities. To date students from over 25 countries have studied English in our school. Full-time and half-time courses are offered. In order to get you to the level needed to pass the exam papers, lessons focus on improving your general English and exam skills, The lessons are based around topical issues and recent affairs, while at the same time working on your vocabulary, grammar, syntax and oral skills. Our teachers will also prepare you for the techniques required to pass the exam papers and you will also be given real exam papers to work on. Each student will have a mock exam with detailed feedback provided by the teacher. The course is made for adults (18 years old and above) who either plan to work or are already working in the business sector and who want to improve their business language in a commercial context. Through a range of real business tasks, we focus on improving understanding and the development of effective communication skills in a professional environment. By working on case studies and authentic text, you will improve your Business English and your comprehension in reading and writing in a business context. The tutors have an excellent professional background in business and will help you develop your business communication skills to succeed in today's world economy. Each student will receive an Attendance Certificate at the end of the course.